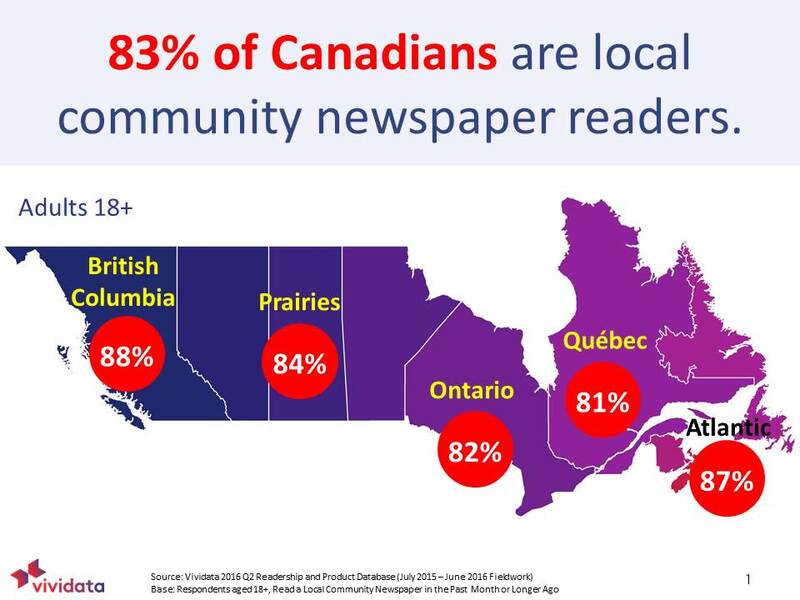 Community newspaper readership across Canada is strong according to the most recent Vividata research. The highest readership figures are reported on both coasts with 88 per cent in British Columbia and 87 per cent in the Atlantic provinces. Vividata reports that, on average, 83 per cent of Canadian adults read a local community newspaper.